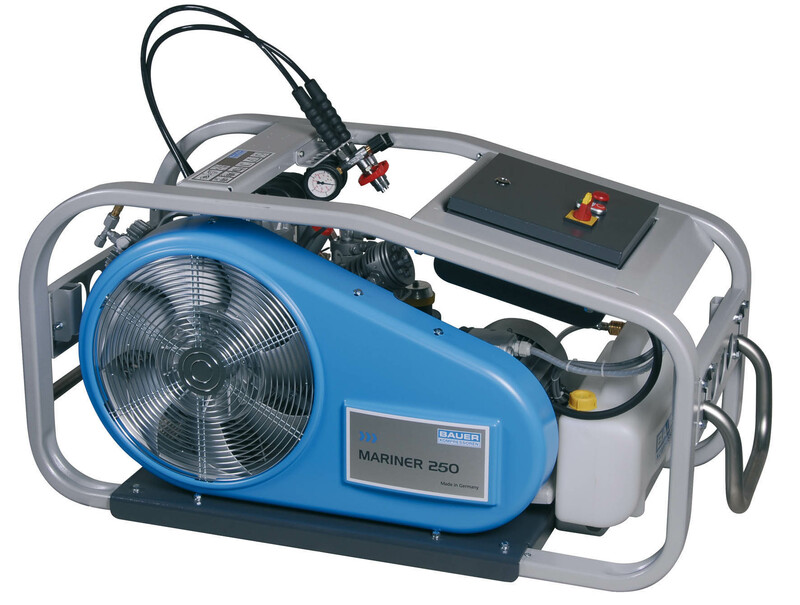 The Bauer Mariner 250 mobile compressor impresses with its high FAD of 250 l/min and a corrosion-resistant crash frame. Depending on requirements, system accessories can be easily attached. The Bauer Mariner 250 also includes the innovative BAUER P 31 SUPER-TRIPLEX filter system.